3 October 2016 • View from the main entrance of Liverpool Street Station, looking SE towards the Gherkin (30 St Mary Axe). The station has taken on a new lease of life since its refurbishment in the 1990s. The addition of glass canopies and new mezzanine levels within the concourse has been a good match for the original flamboyant Victorian style of the brick walls and elegant pillars. 12 May 2001 • Flowing past the large Sainsbury’s store at Bell Green is a stream known as the River Poole which joins up with the River Ravensbourne just south of Catford. The stream was considerably cleaned up and landscaped when the store was built. 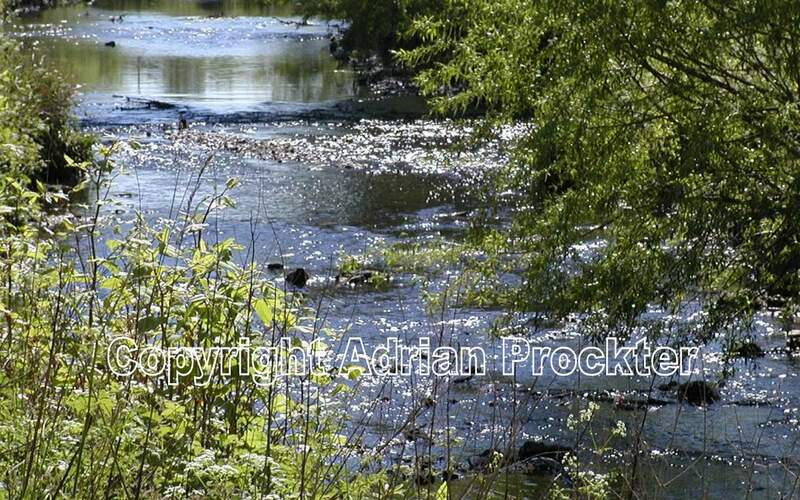 On a summer’s day in May the stream is seen at its best – glistening in the sunshine. 8 December 2001 • On a cold winter’s day the River Poole looks quite different from the summer scene. So clean is the water these days that herons can be seen cautiously striding in the water, living off the fish to be found in it. Many other unusual species of birds are also to seen in the grassland and trees lining the banks of this haven for wildlife. 13 May 2015 • Wooden canopies over four doorways on the north side of Albury Street. Originally called Union Street, it runs east off Deptford High Street near the norther end. 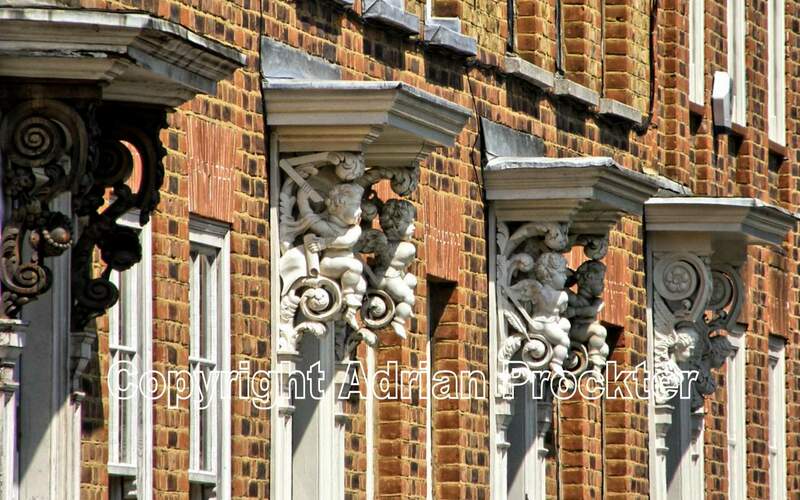 These beautifully carved decorations were placed over the doorways of a terrace of houses dating from the 18th century and used mainly as residences by admirals living near the Royal Naval Dockyard. 21 February 2009 • A long zoom view looking east from the north side of Oxford Street. 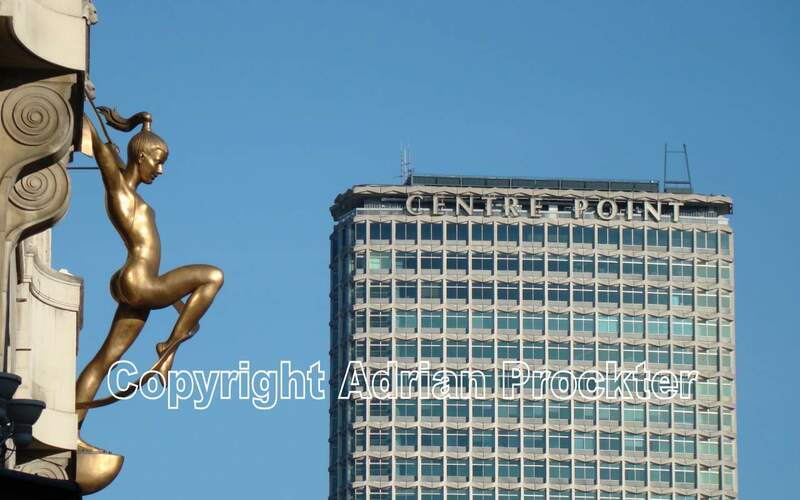 In the distance are the upper floors of Centre Point photographed with an Art Deco figure on the outside of a large building which is now in use as a shopping mall called The Plaza. The building at 120 Oxford Street was completed in the 1920s as a department store for Bourne and Hollingsworth. After it closed it was converted to a shopping centre in 1987. 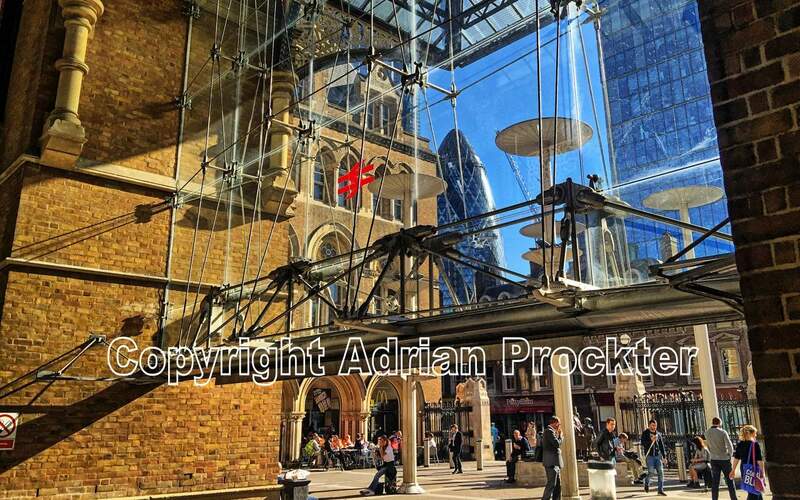 This website shows some of the images taken by Adrian Prockter. See the ‘About’ page for further details. 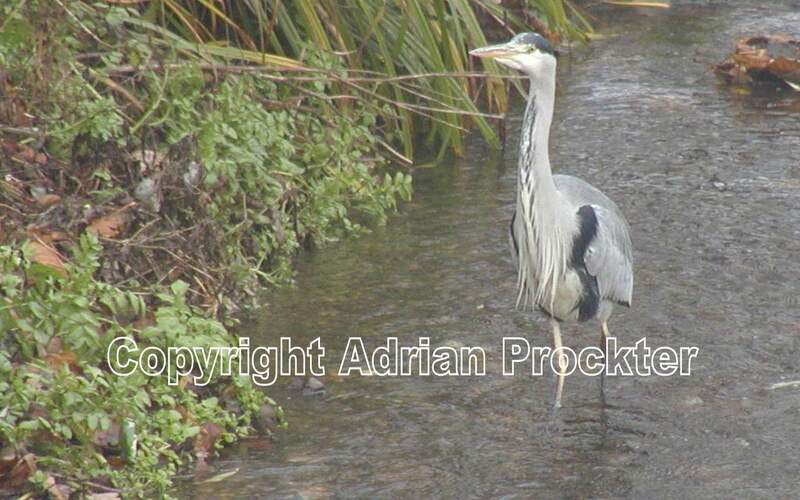 The copyright for all images is held by Adrian Prockter. It is illegal to store or reproduce any of the images without permission in writing.